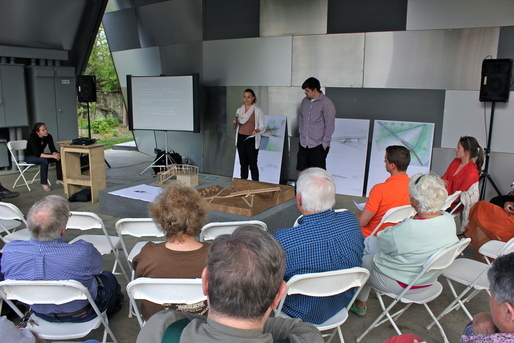 On Friday, half of the studio went to Clifton Forge to present our bridge design to the community. The audience participated with questions and comments, and a number of people volunteered to help with the landscaping portion of the project. The presentation was very well received! 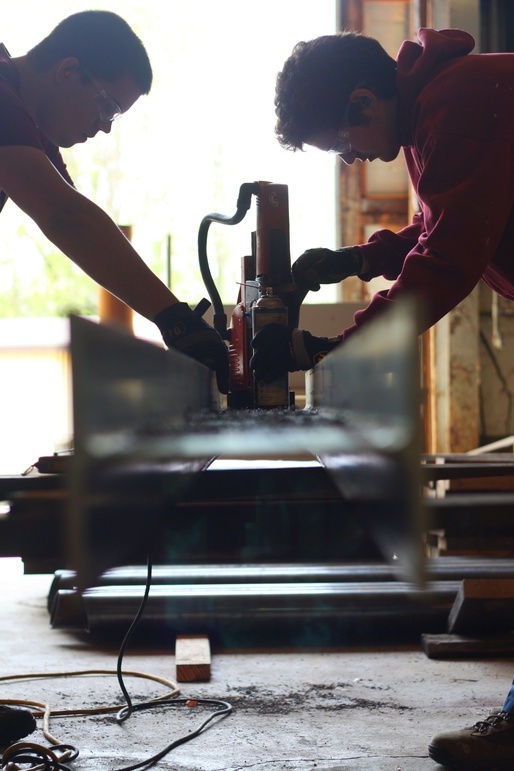 Back in Blacksburg, everyone was hard at work drilling holes in the steel beams with a mag drill and planing wood for the handrails and guardrails.